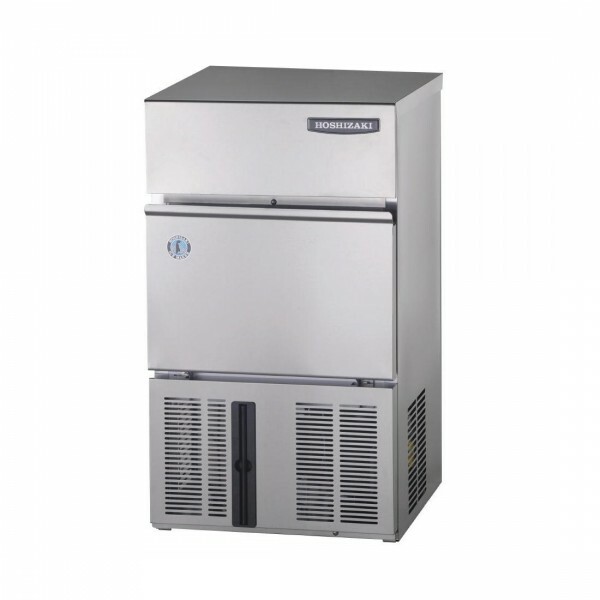 This self-contained cube ice maker uses Natural Refrigerant R290 which is environmentally friendly and energy efficient. This machine is part of a unique range of cubers; designed with hygiene as a priority. Each ice cycle is made with fresh water, ensuring only the highest quality of ice. The cubes are easily recognized by its precise shape, clarity and slow dilution. This is particularly important for ice that is used in premium beverages like cocktails, as it protects the integrity and flavour of the drink. Self contained unit with built in 11.5kg storage bin and removable door gasket for eas cleaning. Automatic rinse cycle ensures each batch is made with fresh water further enhancing ice quality. Fitted with magnetic water pump without direct coupling to prevent leakage and extends product life. Please be aware that this product unfortunately cannot be returned under the 30 days offer as unwanted. This is due to the potential risk for transit damage and the high cost of testing after return. Deliveries are made between 8am-6pm.